Propnomicon: Cthulhu Fhtagn! Kirkby Edition. 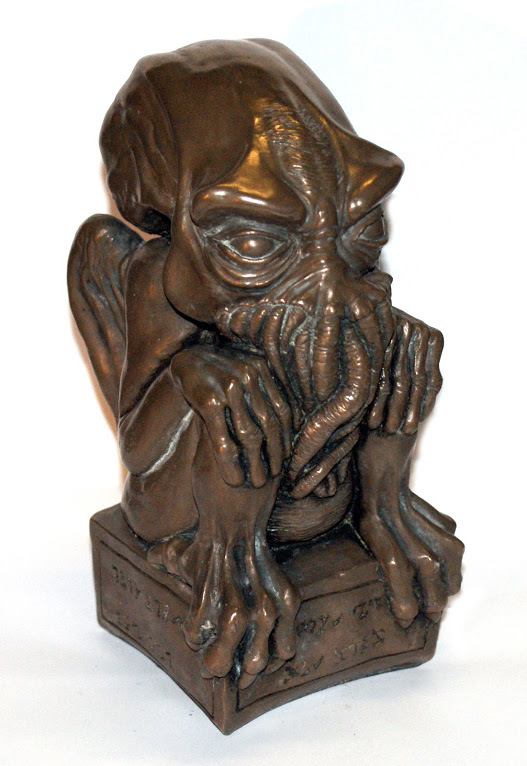 David Kirkby brings us this well done Cthulhu idol. One thing I really like about this sculpt is the anatomical structure of the head. It's a nice break from the puffy, octopus influenced take found in similar projects. Back in June I had a look at this piece when it was still a work in progress. 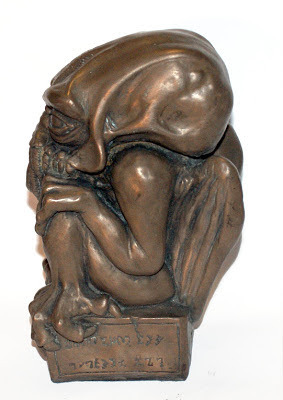 Looks quite Giger-ish from the side. I remember the previous post with Cthulhu looking all pink an cute. All he needed was pity-kitty eyes. Seriously, this is a really top-notch prop. I liked it in the earlier stage, but now with the bronze finish, it's magnificent. It is one of the best permutation of a Cthonic idol I have seen in a while.